The resources listed on this page are for students and include both student-created and 3rd-party created content. Check back often for updates. Hero in the Hallway – Video created by a team of high school and college students to empower younger students to take a stand against bullying and exclusion. Wanted – PSA created by EGUSD students Antone & team (Foulks Ranch Elementary School). It’s Ok to Tell – Netsmartz: Clicky, Nettie, and Webster race to stop Look-At-Dis Louie from spreading bad pictures online. But they better get to him fast, before he turns the whole town gray! Be Internet Awesome – Google – Helping kids be safe, confident explorers of the online world. The Price of Silence – Anti-bullying PSA from ShakeState. Broken Friendship – One of several cyberbullying videos from Netsmartz. Cyberbullying – Think Before You Type (YouTube) – PSA created by EGUSD students Meg Hamrick & Tyler Church (Elk Grove High School). Bully Bystanders: You Can Make a Difference – PSA will make you think about the difference between being part of the problem or part of the solution. That’s Not Cool – The That’s Not Cool program is built on the belief that young people must lead the way in creating change online, in their schools, and in their communities. That’s Not Cool works to lift the voices of the most silenced and marginalized communities of young people including (but not limited to – we are always looking to grow!) LGBTQI youth, Native youth, youth living with disabilities, and youth of color. Watch Your Digital Step – PSA created by EGUSD students Jared, Christian, Danville, Zerin, Drew, Maile, Emma, Walter, Eliyas, Tyler & Brian (Foulks Ranch Elementary School). Staying Safe on YouTube – From Google Safety Center Videos. Own Your Space: Online Reputation That Counts – Download a comprehensive student guide from Microsoft on all phases of building and protecting a digital footprint. 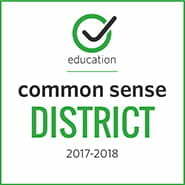 Facebook, YouTube, Texting: Rules of the Road for Kids – From Common Sense Media, a reminder that nothing you post online is private. Digital Tattoo – How is your digital identity like a tattoo? Visit this site for resources and ideas on how to create (or to start repairing) your digital identity/footprint/tattoo. Protecting Online Reputations – From Common Craft. Internet Safety with Annie & Moby – BrainPop Jr. created this video as a reminder of how to protect yourself, your personal information, and your computer. Webonauts Internet Academy – PBS Kids website focusing on internet safety. Note: Flash is required. The Internet Safety Pack – Teaching Ideas website- Learn internet safety, along with tips for searching the web. Don’t Be Phish Bait!– PSA created by EGUSD students Haley, Erica, Emily, Dylan, Cody, Lisa, Spencer Smith, Anisah, Ethan & Kimmera (Foulks Ranch Elementary School). Internet Safety Connections Game – Safety Land from AT&T. Play your way to Internet Awesome with Interland by Google – Interland is an adventure-packed online game that makes learning about digital safety and citizenship interactive and fun—just like the internet itself. Here, kids will help their fellow Internauts combat badly behaved hackers, phishers, oversharers, and bullies by practicing the skills they need to be good digital citizens. You Are Never Alone – PSA created by EGUSD students Jeremy Columbel & Jared Landerman (Elk Grove High School). Checklist for Creating Perfect Passwords (Downloadable Word Doc) – One of many great resources from digizen.com. Working to Resolve Identity Theft – Teen Center – From the Identity Theft Research Center, information, games, and quizzes about how to protect your information online, recognize scams, and be smart about email and social networking. Do You Really Have a Private Life Online? – Informative video animation. ThinkB4U – “Choose-your-adventure” style videos with resources from consumer safety experts. Protecting Your Online Reputation – 4 Things You Need to Know – An infographic from kbsd.com, posted to Mashable Social Media. The Art Thief – PSA created by EGUSD students Shelby & team (Foulks Ranch Elementary School). Creative Commons for Kids (Video) – Created by California teacher Nancy Minicozzi. Cyberbee’s Copyright Lessons and Resources – A good starting point for learning about intellectual property. Copyright for Kids – Checkout the Copyright Challenge Quiz. Copyright What’s Copyright? – From the Center for Social Media, some copyright basics – in a School House Rock format. 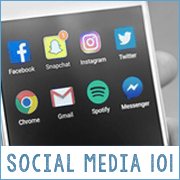 Copyright: User’s Rights – Section 107 – From the Center for Social Media, video introduces your rights to use copyrighted materials (based on 4 key considerations). BibMe – BibMe is an automated citation creator and bibliography generator that can save you loads of time building and formatting your references. View a 90-second video introduction to show you how simple BibMe makes it to cite your sources. Kristin Hokanson has created a Google Form to help students reason through an argument for fair use. Copyright & Creative Commons Explained – From Common Craft’s Lee Lefever, a great explanation of what Creative Commons (also known as “copy left”) is all about.